Open shelves are amazing for a few different reasons. They are a great way to keep your countertops clear while still including decor in your space. 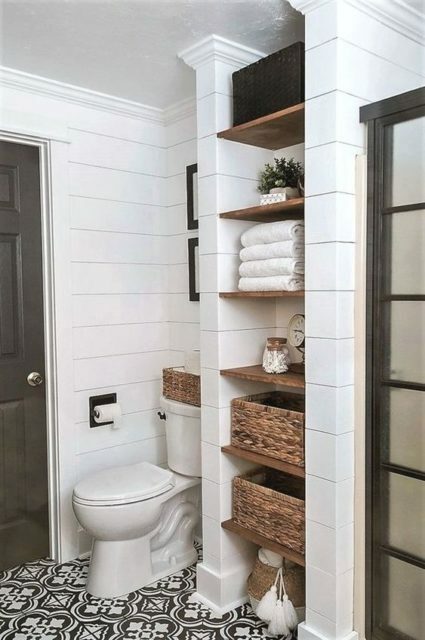 They can be practical for providing extra storage. And let’s face it, they are just too cute to be hidden. 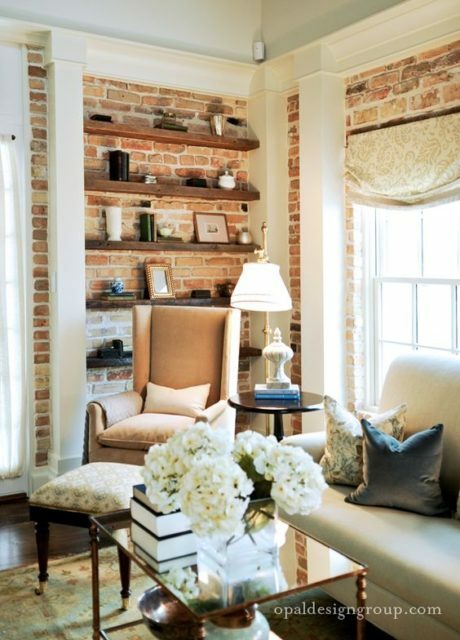 Take a look at some of my favorite open shelves for various rooms and styles. 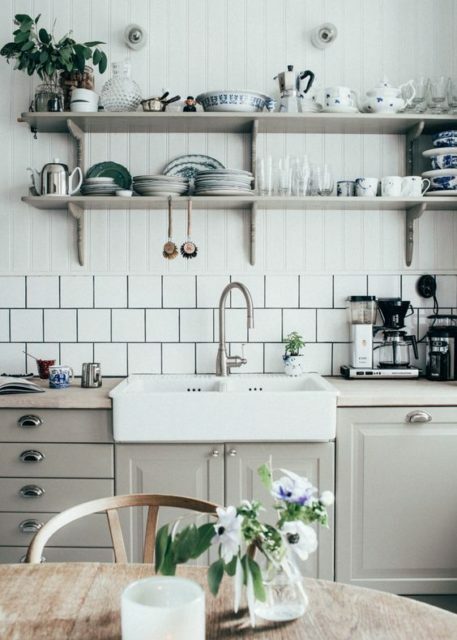 Isn’t this open shelving from Rhiannon Lawson Home just gorgeous? 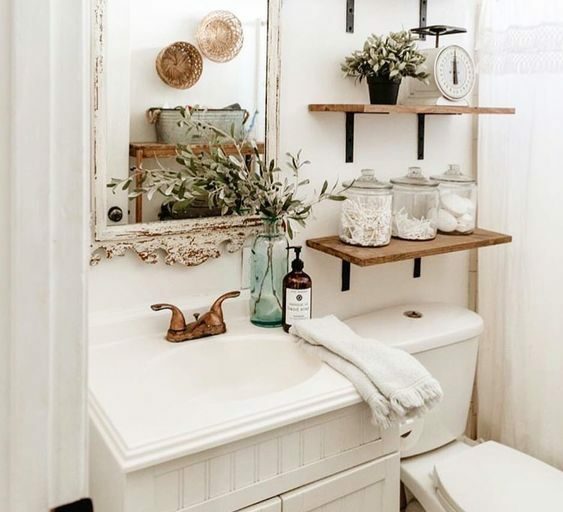 I love the Bohemian vibe and clean decorating. I love the open shelves in my kitchen. You can see how we built them here. 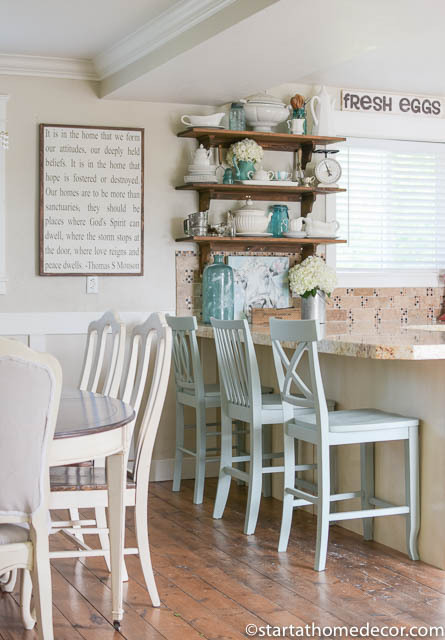 It’s one of my favorite features because I can still have decor in my kitchen without cluttering my countertops. 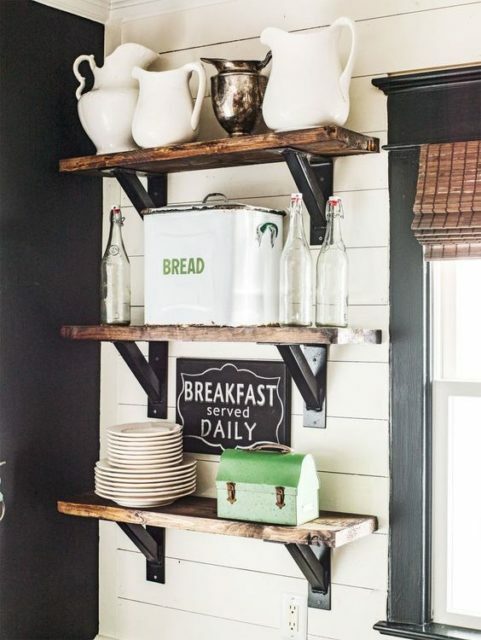 I really like this mix of modern farmhouse shelves from Country Living. 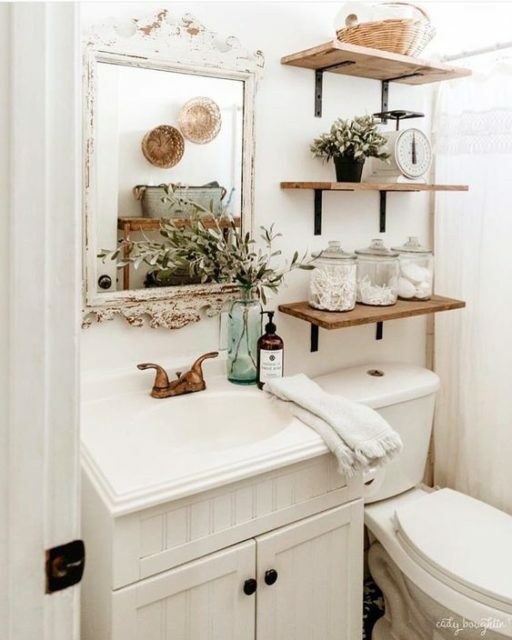 It’s the perfect vintage farmhouse vibe mixed with industrial. 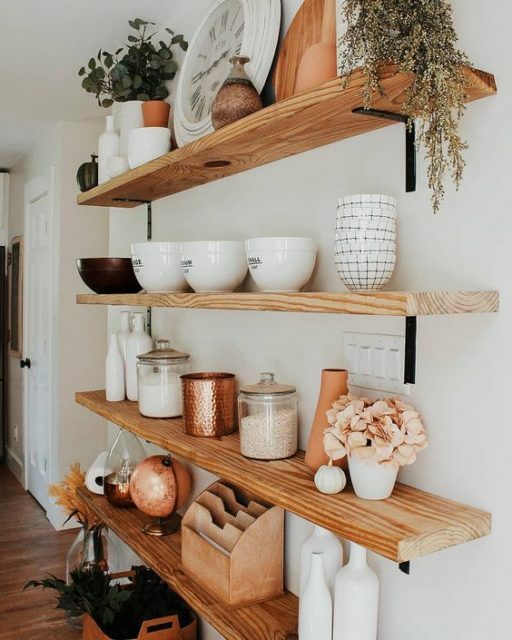 Isn’t this full wall of shelves so beautiful? I love that it is set against the brick background. 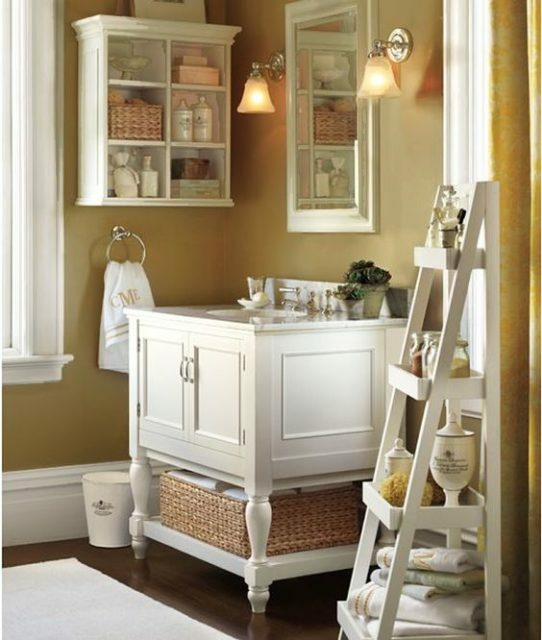 So stylish and colonial! And these are some of my favorites for their natural flow of the design. Such a fun element. Wow! Talk about a full wall of character. 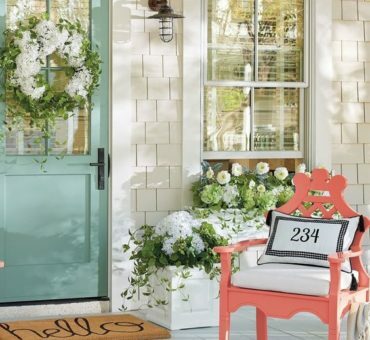 If you have the space for something this flattering, Do it! How cute is this!! 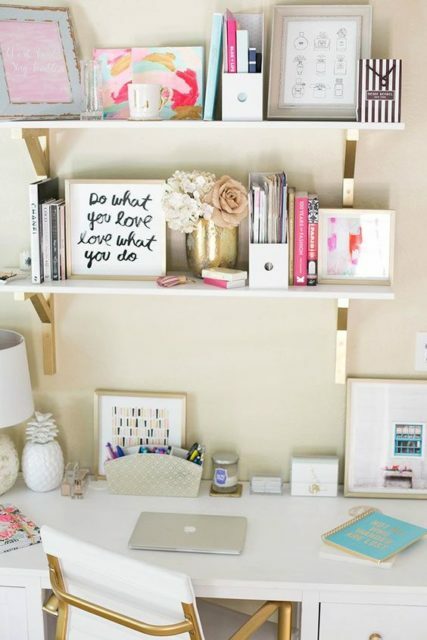 I love the shelving in this little desk nook. They are decorated so classy and fun with a little more modern twist. 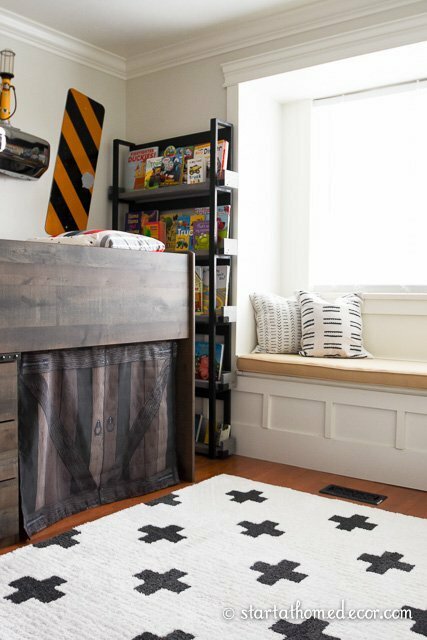 Open book shelves are something I included in my little boy’s bedroom. I love using these instead of a typical bookcase. And, you could also use these for any kind of knick knacks, not just books! And here are more ideas from my daughter’s shelves in her room. We found items that were important to her or that she loved and added them in to the space. 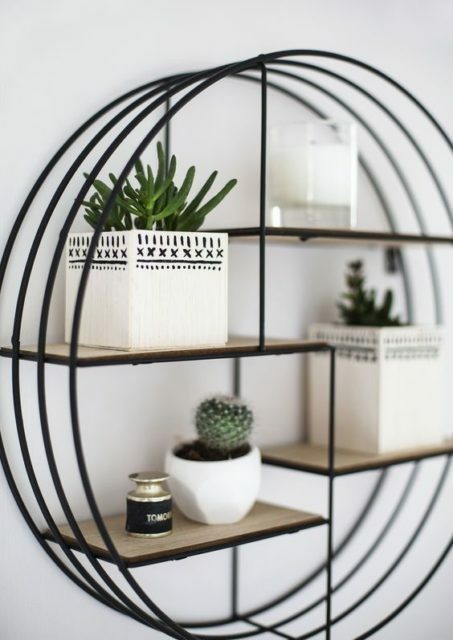 This shelving style is a little more modern, but I really like it. 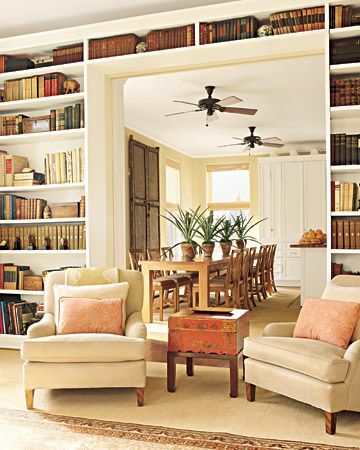 Open, but tucked away so the space still feels large and inviting. 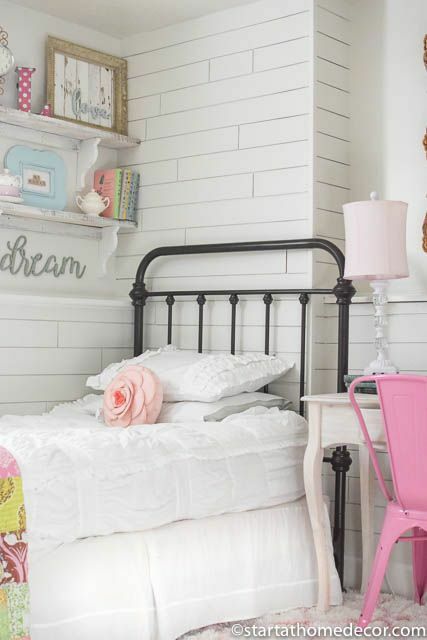 Have you seen the trend for these adorable ladder shelves? 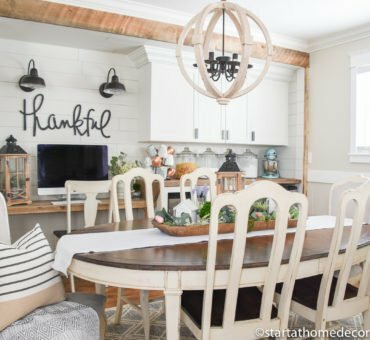 They can totally make the space into something amazing like this one from The Lettered Cottage.